Chemical anchors are studs or bolts which are bonded into a substrate such as masonry or concrete using a resin-based adhesive system. These are ideal for high load applications as usually the bond is stronger than the base material itself. Also as no stress is imparted on the base material these anchors can be used close to edges or in concrete of unknown quality. They are known as chemical anchors as they use a base resin which is mixed with a second component to begin the chemical curing process. 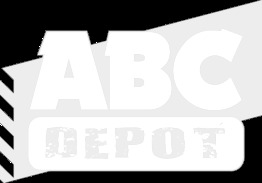 ABC Depot stock a range of different resins as well as guns to apply them.